Does it ever feel like the wrong content goes viral? And watch what felt like every other post in the world zoom through my news feed. I’ll happily admit that I was frustrated—even jealous. Why were these other posts succeeding where mine had failed? First I looked in the obvious place. The place that most people in content marketing will tell you to check if you aren’t having success. The content itself. But even after a long, honest look at my own writing, I had to conclude that the quality of the content wasn’t the problem. Was it perfect? Of course not. Still, I truly believed that the things I was writing could solve real problems—if I could ever get people to read them. And then I went viral. My first viral article, on how to go to the gym more consistently, exploded overnight. It generated 45,000 pageviews in the first 24 hours (and hundreds of thousands overall), was shared by major fitness influencers, and reached the front page of Reddit. A year later, it went viral again. A few people had continued to share it quietly, and it got attention when one of their posts became popular in the /r/fitness subreddit. In some ways it was an accident. I didn’t set the goal to go viral or write viral blog posts. My content just started to pick up speed, like a boulder rolling down a mountain. But in other ways, going viral was the inevitable result of a new process. I had taken a step back to look at how I approached creating content, to the tune of hundreds of thousands of new website visitors. The best part? Going viral is a process, not a guessing game. I can’t guarantee that you’ll go viral if you follow these steps. No one can. But it turns out that the anatomy of viral content is fundamentally different from other content. If you understand the components of viral blog posts, you can write more compelling content that drives shares, clicks, and conversions. If you want to go viral, you can’t start by creating content. Every piece of content that has ever gone viral needed to be promoted by someone. Whether that was the creator of the content posting it on every social media channel imaginable, or one person who found something interesting in a corner of the internet—viral content needs to be shared. So if you want to write viral blog posts, you need to start by asking: who is going to share this content? The content promotion strategy you choose will help when you sit down to actually write content. When you know what promotion channels content is for, you can create content that will perform better in those channels. How do you go viral on the internet? Social media. When we’re talking about viral content, we’re probably talking about social media. Social media platforms are the main way that content goes viral. Social media is the easiest place to share and spread content—and it’s also the most visible way that content get shares. If someone loves your content and sends it to a friend via email or Facebook Messenger, that’s great! You’ve spread through word of mouth, and might get a new reader. But even if that person becomes a superfan, the reach of your content is limited to that one email or message. Social media is powerful because it’s public. A post from one person can reach a dozen, a hundred, a thousand, or a hundred thousand new people. So if you’ve engineered your content to spread (as we’ll talk about later), you have more opportunities to get shared. What’s the best way to share content on social media? First build your following. Then find your advocates. Finally, share your content. If you look at most content creators on social media (especially in marketing), they don’t do much beyond post their own content. Maybe they use a hashtag or tag an influencer, but the content doesn’t really seem to spread. If you want to spread content on social media, it helps to have followers. I won’t go into details on how to get more Twitter followers or Facebook fans—as Jonathan Goodman says in his excellent book Viralnomics, social media platforms change, but principles of sharing don’t. Maybe someday the hashtag will go extinct. Even if that day comes, you can bet people will still share content. Build your audience over time by sharing valuable content and connecting with influencers. Let’s talk about how to connect with influencers to make sure your content doesn’t disappear into the Twitter void as soon as you hit post. 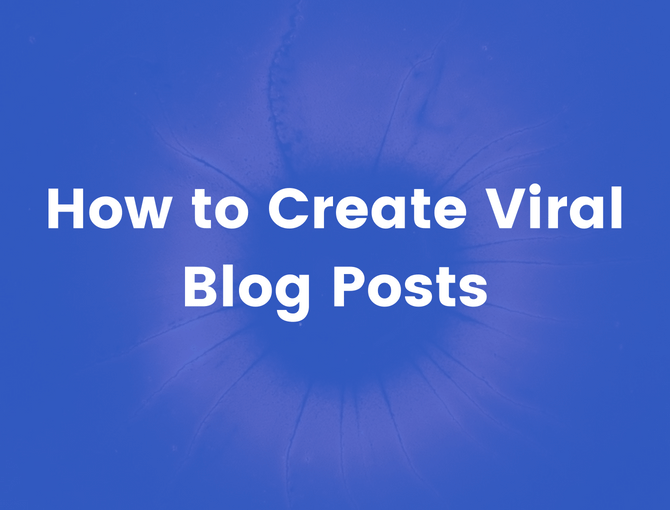 If you don’t have a massive following already, it’s harder to create viral blog posts. Wouldn’t it be nice to have an audience that hangs on your every word, finger hovering over the retweet button? It sure would, and I know I don’t have that. But there are a lot of people that do. Influencers. If you can tap into their audiences, you can massively increase the reach of your content. Of course, that’s easier said than done. 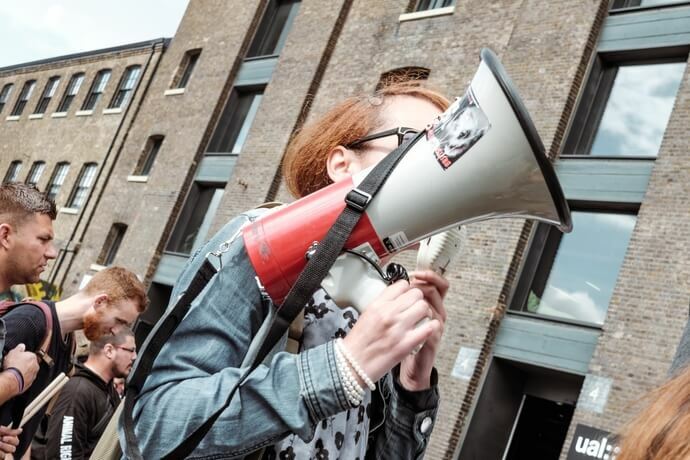 Influencer marketing is more than just tagging someone in a Facebook post. If you could get an influencer to contribute to your content, don’t you think they would be more likely to share it? 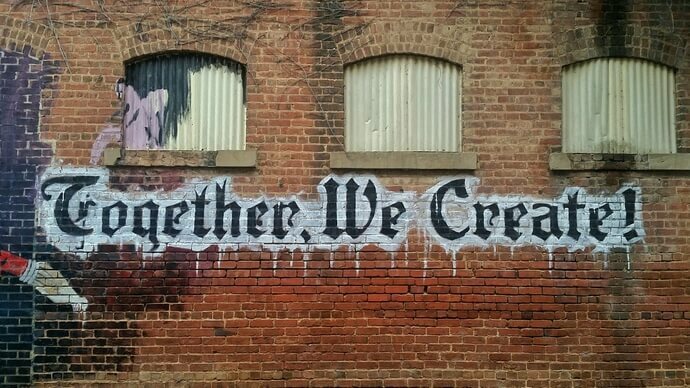 In his book Pre-Suasion, legendary social psychologist Robert Cialdini argues that co-creation builds a sense of unity. If someone contributes to your blog post, they become more invested in its success. That’s all well and good, you still need to get the influencers to contribute. Why should they contribute to your content? What’s in it for them? The answer here is to make the co-creation tiny. An influencer is busy, and doesn’t have the time to put together a big contribution for every request. So instead of asking for a massive section of a blog post—just ask for a quote. A single-sentence answer to a single question. That’s enough that it adds value and social proof to your content. It also gives you an excuse to reach out to the influencer after your content is published. You can also quote influencers without reaching out—and you should, because not every influencer will respond. But if you can get someone to actively contribute to your content, they’re much more likely to share your work. Most people love talking to their fans. And I mean…wouldn’t you? I love getting emails about how my content has helped someone. It makes me feel all warm and fuzzy. If you just send your content to an influencer out of the blue in some stock email, you’re going to get ignored. Influencers get hundreds of emails like that every week. But if you start by responding to their work. Commenting on their social media posts. Replying to their email newsletters. Making it clear that you’re a genuine fan. Then they might pay attention. Building this kind of connection is pretty simple. When you get an email from the influencer’s list, read it and specifically mention one point that you liked (and why you like it). You can even ask for advice, as long as you ask a specific question with a short answer. When it comes time to share, lead off with why you love their content. Then share your content, with a note about how they might find it interesting. That’s it. Don’t ask them to share it—that comes across as desperate, and it’s a played-out move. If you’ve created good content and build the relationship, sometimes they’ll share it on their own. If you’re looking for ways to build relationships with influencers through social media, Andy Crestodina of Orbit Media has a fantastic online networking guide on his site. This step is the hardest, but it’s also potentially the most powerful. If you can guest post or publish on a site with a built-in audience, you can greatly increase the spread of your content. Guest posts are a powerful way to increase reach because an influencer is highly motivated to promote content that appears on their own site. You can be confident that they’ll post it to social media as well as actively promoting it to their email list and other fans. You can also get access to distribution channels that you would never have considered otherwise. I once published a guest post that generated 20,000 shares on Pinterest. Pinterest!? I don’t even have a Pinterest account. I only go to Pinterest when it shows up in a Google search. But the influencer I was guest posting with had a system to promote content on the platform, and it wound up benefiting both of us. Guest posts take a lot of work to produce, and it can be hard to get top placements with major influencers. What about SEO? Is SEO important to creating viral blog posts? Search engine optimization is near and dear to my heart. When I was first starting in content marketing, SEO was the first valuable skill I learned. So it hurts me a little to say that SEO probably isn’t that important when you’re trying to write viral blog posts. Although Google is a massive source of traffic for most blogs, SEO is more of a long term strategy. It takes weeks or months for most posts to rise in search results. SEO can help your content stay evergreen and keep generating traffic—and even generate more shares over time, as people find your content through search—but it won’t help that first viral push. That said, your first viral push might help SEO. If you can get in front of content creators and collaborate with people on content, you may be able to attract more links. If your content is good enough to be link bait, being shared by the right people might result in getting more backlinks, which could in turn improve your search rankings and provide lasting value. In any viral push, the early stages are the most difficult. Imagine a boulder at the top of a mountain. At first, moving the boulder seems impossible. It’s a giant boulder! But if you could get it to move with that first push, it would start to roll. Pushing it along would get easier as it gathered momentum, until it started careening down the mountain on its own. Email marketing helps your first push. Put your email below. You'll get an example of email marketing (us, marketing to you, by sending you our best advice each week). If you’re pushing all on your own, you don’t stand a chance. The boulder is too heavy, and a few tweets aren’t going to make it budge an inch.. But if you build an email list of engaged, loyal fans, you can start by sending your content to them. You can ask them to share it, and get a head start on going viral. Building an email list is so valuable that marketing expert Ryan Holiday calls it your most important career asset. When you build a list, you have a permanent podium—a platform that you can always use to reach the people interested in what you have to say. Add content to your email signature. Every time you send an email, you can get more eyes on your content. Reach out to blog commenters. People who have commented on your blog are interested in your content. If they left a website, you can reach out to let them know about your new content. Reach out to people who have shared you before. Send a quick email to ask if you can send them your new content when it goes live—you know they’re interested. Add links to new content in your old content. Link to your new content in your most popular blog posts to keep readers on your site. Resend emails to non-openers. Sometimes people miss your emails—resend your emails to people who missed it the first time. Add the content to your email welcome series. Show every single one of your new subscribers your content, without creating extra work for yourself. Content marketer Robbie Richards has compiled a massive list of 39 tactics like this, including specific outreach email scripts, in his article on how to promote your blog (excellent read). At this stage, you should have a sense of how your content is going to get promoted once it goes live. But what about the content itself? How can you engineer content for the specific purpose of going viral? Viral blog posts go viral because people love the content, of course. But—as I learned the hard way—content doesn’t go viral just because it’s good. Research on attention and sharing shows that content gets shared the most when it taps into specific emotions. Jonah Berger, a professor at the University of Pennsylvania and expert on word of mouth, has even published an entire book of research on the virality of content. 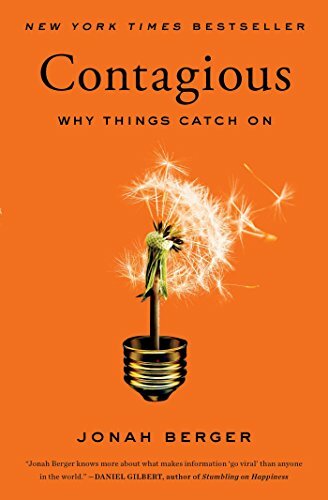 Berger’s book, Contagious: Why Things Catch On, is an in-depth look at how content spreads. I highly recommend it. But if you don’t have time to read a 200-page book right now, you can start by checking out this 14-page paper he wrote on what makes online content viral. What does that mean for your content? When I looked at this research, I realized my mistake. My content could solve problems, but it was extremely clinical. It was focused on intellectualism instead of emotion, so it constantly fell flat. If you can inject emotion into your content, you can help it spread. What kinds of content go viral? Funny content (think memes). People like to share things that make them laugh. Adorable content (think cat videos). The “awe cute” response leads to shares. Awe-inducing content (think launching a car into space). Awe-inspiring content is share-inspiring content. Self-relevant content (think BuzzFeed quizzes). We’re all interested in ourselves, so content about who we are gets shared a lot. Rage-inducing content (think political posts). Anger is a negative emotion, but it’s “high arousal” (that actually is the scientific term), so it leads to action and sharing. Outside of these specific emotions, Berger’s paper found that practically useful content gets shared at a higher than average rate. Think how-to videos. But if you’re going to produce a how-to video, that doesn’t preclude you from using emotion. One of the most powerful sharing triggers is the unexpected. In Pre-Suasion (mentioned earlier), Robert Cialdini argues that the unexpected is a powerful way to capture interest and attention—a crucial step in going viral. So if you do produce instructional content, try to make it emotional or somehow unexpected. This TED video has nearly 6.5 million views because it starts with an unexpected claim—you’re tying your shoes wrong. Adding emotion and surprise to your content can help your blog posts go viral. You’ve got emotional, problem-solving content. You’ve got the channels and influencers to promote them. But you aren’t done creating your content just yet. If you want to spread on social media, remember that social media users are bored. A lot of them are looking to kill time with some quick entertainment. A compelling headline. Pack your headline with emotion and suspense, ideally without being too clickbaity. Tell the beginning of an intriguing story. An attention-grabbing picture. Joanna Wiebe, one of the best copywriters in the world, tested Facebook Ads and discovered that images are crucial—even more important than the words of a post. Within the content itself, you’ll need to make sure your content is formatted for scanners. Long content is ok, but you have to expect that a visitor from social media isn’t going to read all the words on a page—make sure they can still understand your most compelling points. Tip: Every picture is a great opportunity to add a descriptive caption. Captions get read 300% more than body copy, so they’re a great way to appeal to scanners. Making your content skimmable can help more people read more of your content. Success! You wrote a viral blog post. Hundreds of thousands of new visitors are coming to your site. But wait! Where is everyone going! Before you write viral blog posts, you want to make sure that you have systems in place to convert your visitors into customers or contacts. Otherwise, they’ll click onto your site, leave, and disappear forever—and you’ll have nothing to show for your bump in traffic. I learned this lesson the hard way. The first time I went viral, I generated 45,000 new visitors in the first 24 hours. How many email subscribers do you think I got? 10000? 1000? 100? You could multiply that by 5, and it would still be lower than the average clickthrough rate of a banner ad. My subscription forms were hard to find. I didn’t have a lead magnet. My opt-in copy was terrible. Of course no one subscribed! I snapped into action. I added an opt-in pop-up, built a free email course as a lead magnet, and improved my copy. Thankfully I did this while the post was still spreading, and my subscribers quickly jumped into the hundreds. The lesson? Set up the bottom of your funnel before you go viral. Whether you’re trying to generate sales, collect email subscribers, or drive people to a free trial—make sure you build a way for them to stay in touch into your viral blog post. Add a pop-up. Pop-ups can be a little annoying, but they massively increase your conversion rate. If you’re afraid of annoying visitors, most of the popular pop-up services (Sumo, OptinMonster, etc.) can display the pop-up only when people are about to leave your site. Offer a lead magnet. “Subscribe to my newsletter” is a pretty boring call to action. Offer an ebook, checklist, consultation, something in exchange for an email address. Improve your opt-in copy. 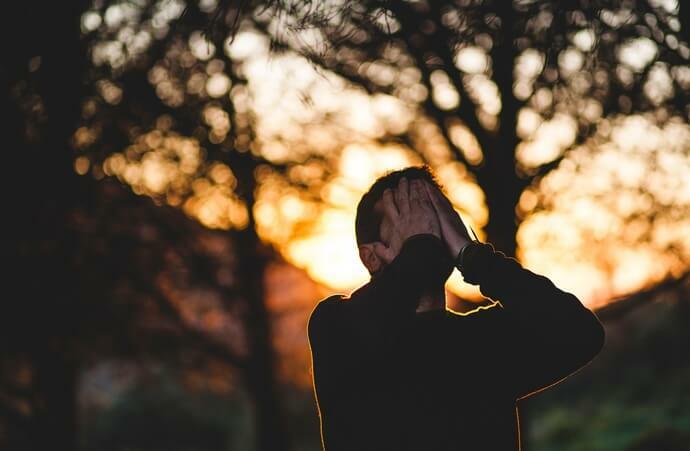 An underrated tactic, your conversion rates will go up massively when your copy speaks to your audience’s burning pains. Going viral can give a huge boost to your business, but it won’t have any effect at all if you don’t have the bottom of your funnel set up in advance. Sometimes it seems like the blog posts that go viral are totally random. But through a series of steps, you can improve the chances of your content getting shared, driving traffic, and generating revenue. First, consider promotion. Understand where your content will be distributed before you even start writing. Second, consider how to create the best content for your promotion channel. 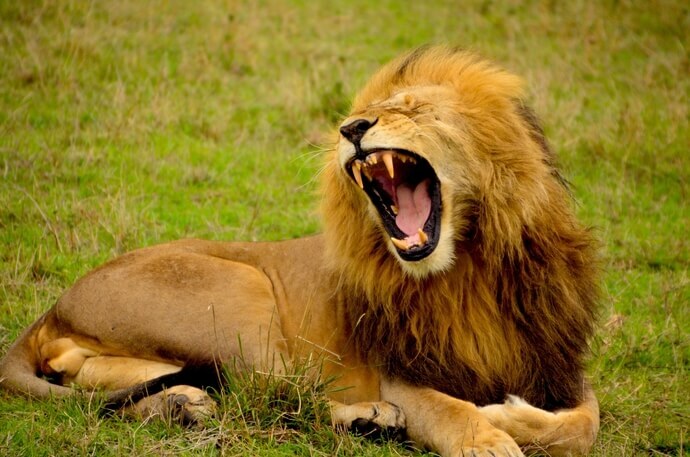 Content that taps into powerful emotions is more likely to go viral. Third, format for scanners. Social media users are bored, so you need to find ways to grab their attention and keep them interested. Finally, make sure you have the bottom of your funnel ready to go. You need a way to capture information and stay in touch with website visitors—otherwise, what’s the point of going viral? Want one more quick bonus tactic? No one reads a piece of content and adds it to their calendar to tweet out later. If you want more people to share your content, ask them to share at the end of your post (hint hint). Going viral isn’t just guesswork. Grab attention, use emotion, and optimize conversions to create viral content that grows your business.